Objective: To explore the relationship between gastroesophageal reflux disease (GERD) and malignant tumor chemotherapy, as well as the efficacy of proton pump inhibitor (PPI) omeprazol enteric-coated tablet in chemotherapy-induced GERD. 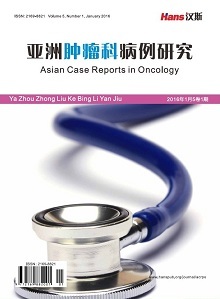 Methods: Malignant tumor patients who received chemotherapy were recruited in this study from January 2013 to December 2013. All patients were randomly divided into chemotherapy group (group A, n = 100) and chemotherapy + PPI group (group B, n = 100). According to reflux disease questionnaire (RDQ) score, the RDQ score changes of two groups were collected before and after chemotherapy. Patients with the RDQ total score ≥12 points were diagnosed with GERD. The change of GERD incidence and RDQ mean score was compared in the two groups before and after chemotherapy, respectively. Results: Before chemotherapy, there were 7 patients in group A and 7 patients in group B whose RDQ total score was ≥12 points, while 32 patients in group A and 10 patients in group B after chemotherapy. The RDQ mean score before and after chemotherapy was 5.96 ± 3.08/10.99 ± 4.19 in group A and 6.74 ± 2.91/7.89 ± 2.43 ingroup B. GERD incidence before and after chemotherapy was 7.61%/34.78% in group A and 7.45%/10.64% in group B. There was a significant difference (P < 0.05) of the change of the RDQ mean score and GERD incidence in group A, but, there was no significant difference in group B (P > 0.05). The study indicated that GERD was significantly associated with chemotherapy. Chemotherapy combined with PPI could evidently reduce the RDQ total score and GERD incidence. Conclusions: Patients who received chemotherapy had a significantly higher incidence of GERD, and PPI could relieve GERD symptoms, reduce chemotherapy-related adverse reactions, and improve the quality of life of malignant tumor patients. 陈竺 (2008) 全国第三次死因回顾性调查报告. 中国协和医科大学出版社, 北京. Mitchell, E.P. (2006) Gastroin-testinal toxicity of chemotherapeutic agents. 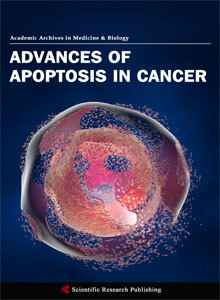 Seminars in Oncology, 33, 106-120. 周爱萍, 王奇璐 (2002) 抗肿瘤药物对消化系统的不良反应及其防治. 实用肿瘤学杂志, 17, 79-80. Vakil, N., van Zanten, S.V., Kahrilas, P., Dent, J. and Jones, R. (2006) The Montreal definition and classification of gastroesophageal reflux disease: A global evidence-based consensus. The American Journal of Gastroenterology, 101, 1900-1920. Shaw, M.J., Talley, N.J., Beebe, T.J., Rockwood, T., Carlsson, R., Adlis, S., et al. (2001) Initial validation of a diagnostic questionnaire for gastroesophageal reflux disease. The American Journal of Gastroenterology, 96, 52-57. De Vault, K.R. and Castell, D.O. (2005) American College of Gastroenterology. Updated guidelines for the diagnosis and treatment of gastroesophageal reflux disease. The American Journal of Gastroenterology, 100, 190-200. Molle, L.D., Goldani, H.A.S., Fagondes, S.C., et al. (2009) Noctumal reflux in children and adolescens with persistent asthma and gastroesophgeal reflux. Journal of Asthma, 46, 347-350. Barraclough, K. (2009) Chronic cough in adults. BMJ, 338, b1218. Wang, J.H., Luo, J.Y., Dong, I., et al. (2004) Epidemiology of gastroesophgeal reflux disease a general population-based study in Xi,an of Northwest China. World Journal of Gastroenterology, 10, 1647-1651. Garda Rodriguez, L.A., Ruigomez, A., Martin-Merino, E., Johansson, S. and Wallander, M.-A. (2008) Relationship between gastroesophageal reflux disease and COPD in UK primary care. Chest, 134, 1223-1230. 胡家安, 曹振英, 徐志红, 黄绍光, 张伯膺 (2009) 胃食管反流病与慢性阻塞性肺病及其加重关系的探讨. 上海交通大学学报(医学版), 9, 1070-1073. 徐志洁, 段丽萍, 王琨, 夏志伟, 林三仁 (2005) 焦虑和抑郁与胃食管反流病症状发生的相关研究讨. 中华医学杂志, 45, 3210-3215. 中国胃食管反流病研究协作组 (2003) 反流性疾病问卷在胃食管反流病诊断中的价值. 中华消化杂志, 11, 651654. 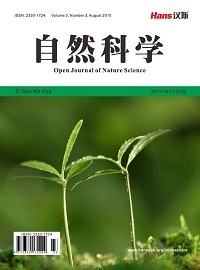 王胜, 朱晶, 张蕊, 马丽霞 (2012) 泮托拉唑防治化疗药物所致胃肠道反应的疗效观察. 实用临床医药杂志, 7, 93-94. Grunberg, S.M. and Hesketh, P.J. (1993) Control of chemotherapy-induced emesis. New England Journal of Medicine, 329, 1790. 何舒 (2003) 化疗呕吐研究进展. 宁夏医学杂志, 3, 186-188. 史燕妹, 赵公芳, 黄华 (2012) 胃食管反流病的发病机制及其诊治进展. 世界华人消化杂志, 36, 3713-3718. 涂蕾, 侯晓华 (2011) 胃食管反流病的病因和发病机制. 现代消化及介入治疗, 1, 37-41. 林三仁, 许国铭, 胡品津, 等 (2007) 中国胃食管反流病共识意见. 胃肠病学, 4, 233-229. Trotti, A., Colevas, A.D., Setser, A., Rusch, V., Jaques, D., Budach, V., et al. 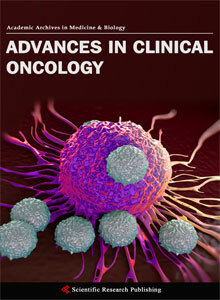 (2003) CTCAE v3.0: Development of a comprehensive grading system for the adverse effects of cancer treatment. Seminars in Radiation Oncology, 13, 176181. 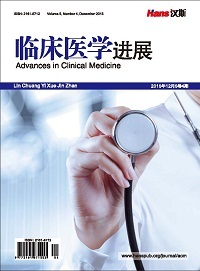 Uwagawa, T., Misawa, T., Iida, T., Sakamoto, T., Gocho, T., Wakiyama, S., Hirohara, S. and Yanaga, K. (2010) Proton-pump inhibitor as palliative care for chemotherapy-induced gastroesophageal reflux disease in pancreatic cancer patients. Journal of Palliative Medicine, 13, 815-817. Kusano, M., Shimoyama, Y., Sugimoto, S., Kawamura, O., Maeda, M., et al. (2004) Development and evaluation of FSSG: Frequency scale for the symptoms of GERD. Journal of Gastroenterology, 39, 888-891. Estevao-Costa, J., Campos, M., Dias, J.A., Trindade, E., Medina, A.M. and Carvalho, J.L. (2001) Delayed gastric emptying and gastroesophageal reflux: A pathophysiologic relationship. Journal of Pediatric Gastroenterology and Nutrition, 32, 471-474. Coelho, A.M., Fioramonti, J. and Bueno, L. (1998) Mast cell degranulation induces delayed rectal allodynia in rats: Role of histamine and 5-HT. Digestive Diseases and Sciences, 43, 727-737. 汤玉铭, 袁耀宗 (2008) 胃食管反流病的蒙特利尔定义浅析. 临床消化病杂志, 1, 4-5. 杨敏, 房殿春, 李兆申, 等 (2005) 非糜烂性胃食管反流病患者食管内脏感觉过敏与P物质表达的关系. 解放军医学杂志, 7, 603-606.